Indebted to all my teachers for all the good things in my life. 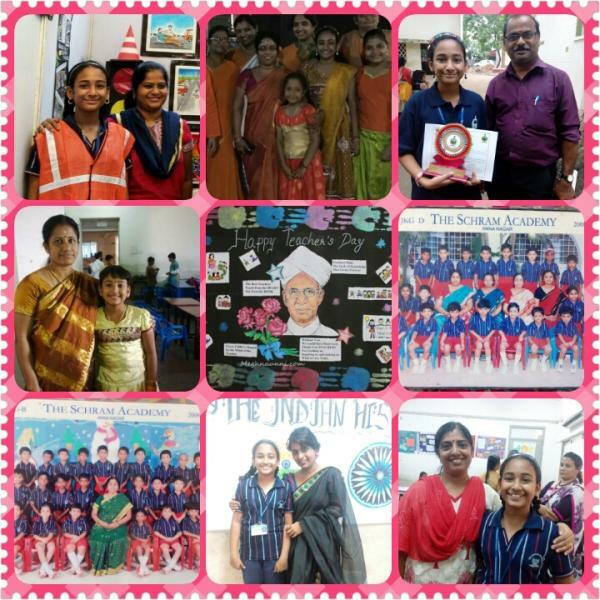 My School teachers right from my Junior KG teacher Ms. Latha Mani Mam to my present teachers, have been always supportive and encouraged me all through these years. I am thankful for all my academic achievements to my school teachers. Thank You Latha Mam, Priya Mam, Thabithal Mam, Sajna Mam, Bhavya Mam, Mridula Mam, Ramani Mam, Bindhu Mam, Vimala Mam, Rajni Mam, Kavitha Mam, Bhuvana Mam, Rukzana Mam, Sam Sir, Uma Mam, Vani Mam, Christy Mam, Donna Mam, Princy Mam, my school Principal till last year Ms. J. Jaibala Mam, Present Principal Ms. J. Sella Pauline Punitha Mam, Our school campus head Mrs. Serita Christina Mam and all other teachers who have blessed me and supported me all these years. My respect to my dance teacher Mrs. Sheela Unnikrishnan, who is the reason behind my changed thinkings and passion for Bharathanatyam. I became serious and passionate about this art after I joined her class, Sridevi Nrithyalaya. Thanks a lot for the wonderful training provided to us in the class Mam. Dedicate all my major achievements in Painting and art to these two teachers : Shri. C.Kannan Sir and Shri. R. Rajendran Master. Rajendran Master was the one who taught me the initial basic lessons in painting. It laid a strong foundation. Thank You Sir. Thanking my present Art Master Shri. C.Kannan Sir for all my achievements in recent years. He gives me real good lessons in Water colours, acrylic paintings and pencil sketches. Thanks a lot Sir. HAPPY TEACHERS DAY to all of you dear Teachers.